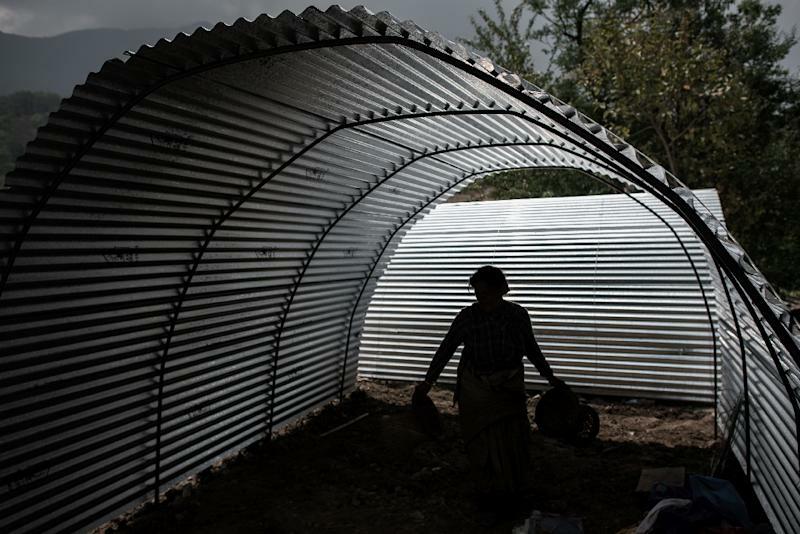 As he braces for the monsoon rains that threaten to inflict further misery after Nepal's devastating earthquake, Nawaraj Bista has more faith he will be safe inside his $100 quick-build corrugated iron home than under bricks and mortar. Bista, a car salesman, saw his old home in Kathmandu reduced to rubble when a 7.8-magnitude quake ripped through the Himalayan nation on April 25. But when a second major quake on May 12 brought down more buildings that had already been weakened, his temporary metal shelter emerged unscathed. "Nothing happened to it," Bista said of the simple dome-shaped metal structure. "This place has been a blessing... we will live here until the monsoons are over." 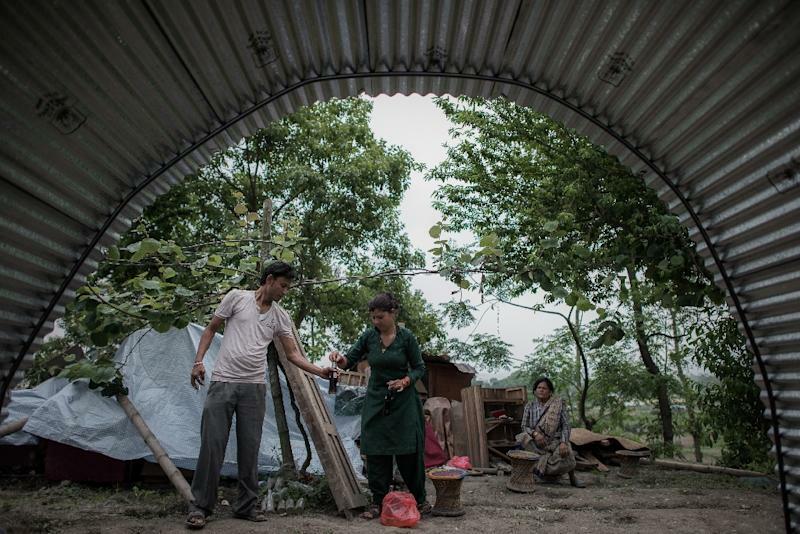 While orange and blue tents dot Nepal's quake-hit settlements, experts warn of an urgent need to build semi-permanent shelters like Bista's that can withstand the approaching monsoon rains and aftershocks that continue to shred locals' nerves. "A tent is not a long-term solution," said Bijay Krishna Upadhyay, a director at the non-profit National Society for Earthquake Technology (NSET). "We have to move to quake-safe transitional homes that will outlast monsoon, even winter." The twin quakes killed more than 8,600 people, destroyed nearly half a million houses and damaged another 270,000 homes, leaving thousands in desperate need of food, clean water and shelter. In a bid to accommodate thousands of families who need shelter before monsoons arrive, NGOs and design firms are moving away from emergency options like tents to building affordable and potentially permanent homes for quake victims. Bista's new home was built by Kathmandu-based Portal Bikes and was inspired by a design that emerged in Pakistan after an earthquake in 2005 left 3.5 million homeless there. "The design makes sense because families can reuse the sheets when they decide to make a permanent house," said Caleb Spear of Portal Bikes, an aid group which has built over 450 such homes so far. In the northern district of Gorkha, epicentre of the April 25 quake, design firm ABARI is constructing bamboo and canvas yurts for villagers that are built to last for at least five years. "In a developing country like ours, a transitional home cannot be built to last a short period," said Nripal Adhikari, founder of ABARI. "People don't have the resources to rebuild their homes immediately, and we can't tell if and when the government's support will reach those in need," Adhikari told AFP. When a 6.3-magnitude quake in New Zealand levelled Christchurch's 19th-century stone cathedral in 2011, Japanese architect Shigeru Ban was called in to build an innovative replacement out of cardboard, which is expected to stay intact for five decades. As aftershocks continue to rattle Nepal, few people are willing to rebuild their homes using traditional materials. In the village of Lakuri Bhanjyang, on the outskirts of Kathmandu, plumber Suresh Lama sifts through debris of his house to salvage wooden doors and windows, which he will fit in his new two-room home, made of CGI sheets and metal frames. "The earth has not calmed down yet, I don't want to use bricks or stones. What if it falls down on us?" Lama told AFP. "I am planning to use bamboo or wood to make the walls." Engineer Devendra Shrestha, who designed Lama's new home, told AFP quake resilience was a key priority. "Our focus was to design a structure that is easy to transport, simple to make and safe against quakes," Shrestha said. Once the frame is completed, the house owner can use salvaged materials to line the walls. Nepal's government has offered each homeless family $150 to spend on such transitional homes, while the country's only billionaire, Binod Chaudhary, has pledged to construct 10,000 temporary shelters. 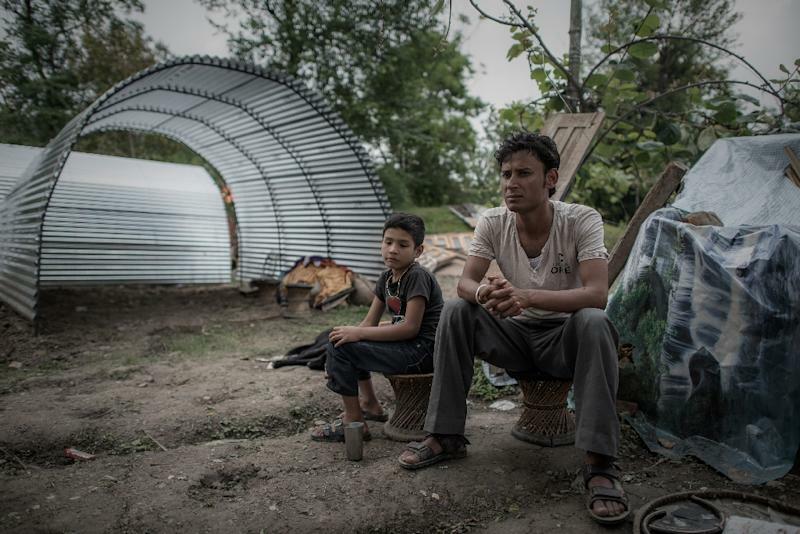 For salesman Bista, who lived in a tent for two weeks after his house crumbled, his "tin house" offers a measure of safety until he has the energy and resources to rebuild his life from the ground up. "It's not a real home, but at least we are safe and have a roof over our heads."